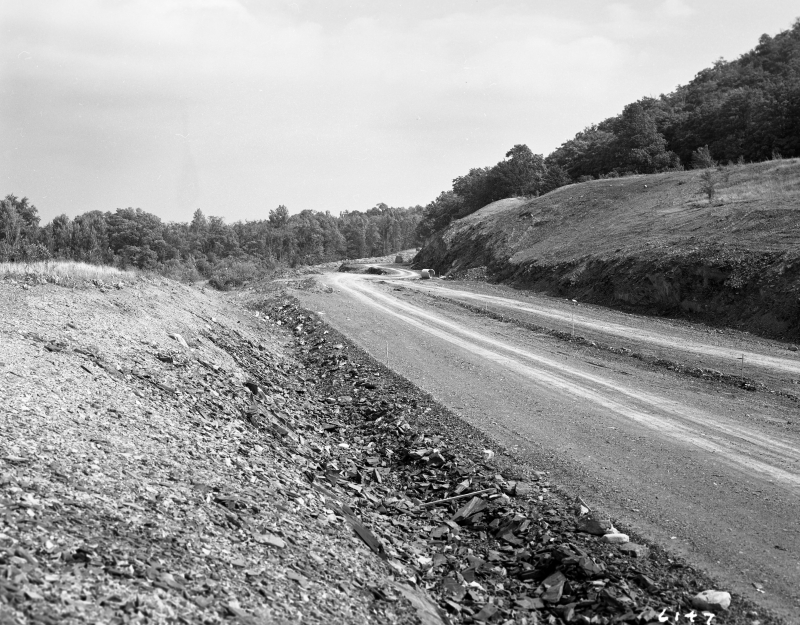 This black and white photograph looks north over the reconstruction of a segment of U.S. Route 7 in Charlotte. The dirt road bed passes up the center of the image. A slope of dirt and broken rocks rises on the left side of the roadway. Another cleared, excavated slope rises on the right side of the road. Forest spreads out across the background. The season is summer.